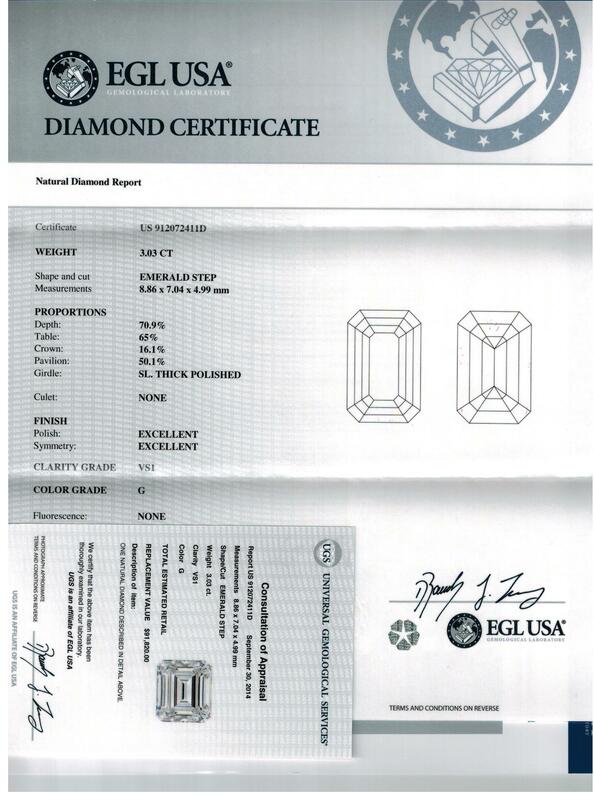 Note that we prefer to sell Diamonds having either GIA or EGL(USA) Lab Certificates. Our associates in the Diamond Trade believe that these labs are more accurate. We feel it is our duty to provide our customers with a Diamond which truly meets the criteria they seek. All That Glitters assumes no responsibility of the grading or accuracy of either GIA or EGL Certs; our receipt will refer to the cert and info contained within. As usual, our customer will be covered by our normal 7 Day 100% Customer Satisfaction Guarantee. Our Prices are LOWER than Blue Nile and we will always beat their price! Customers must compare similar diamonds - approx weight, color, clarity, shape, etc. and they must also be certed from GIA or EGL (USA) as our diamonds. Feel free to send us an email with the information of the diamond of interest (shape, color, clarity, carat weight, cert, price, etc.) and we will beat the price! We will reply to your request and will require a copy of the cert; we provide a copy of certs to our customers via email, and for purchased diamonds, the original cert will accompany the purchase. 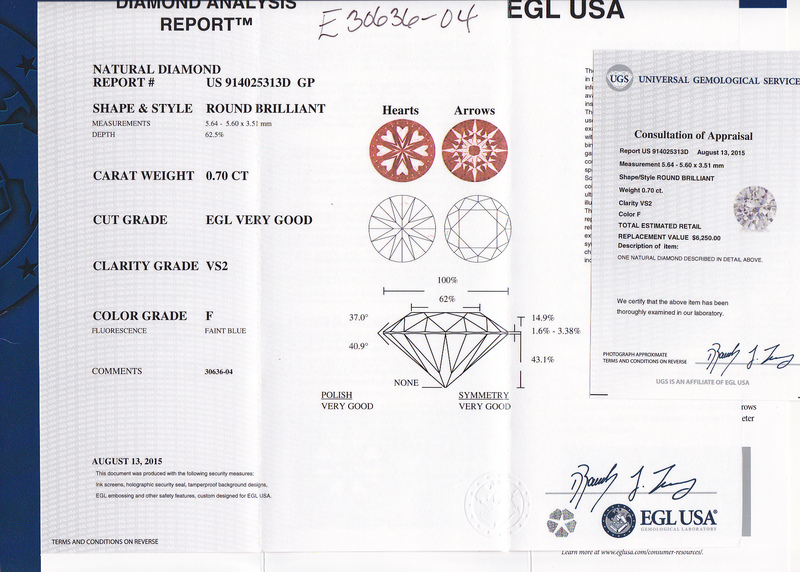 A matched pair of EGL (USA) Certed Diamonds weighing 70pts each was obtained for a customer in the United Kingdom who had heard that we could supply fine quality diamonds at a great price - a referral actually. She was not disappointed. Not only were they a fine match (they were going into an engagement ring and were the sides of a center gemstone, but they were very high quality in color, clarity and cutting. She was working with a respected jewelery store in London, and when the diamonds were viewed by the store, the customer told us by email - "they were very impressed by the diamonds". The price our new customer paid was essentially wholesale and the independent replacement value that went along with the EGL Certs estimated their value at $14,450. This is a difference of over $7,000 from the price she actually paid. Not a bad deal, but this is just a typical deal with All That Glitters! We have scanned both certs for the pair and one will also find the independent replacement value in the upper right hand corner, as we scanned the two documents together. A woman looking for a 3ct Emerald Cut Diamond contacted us to inquire as to why our prices were so low, as the closest price that she had found for a similar Diamond online was $17,000 more from other websites/stores. The independent replacement value was for $91,820 - which was a difference of over $67,000 from the All That Glitters pricing - now that's a Savings!... But to be more realistic, our original price of $24,697.53 was fair and we can easily see it selling for higher than $17,000 more from other businesses. 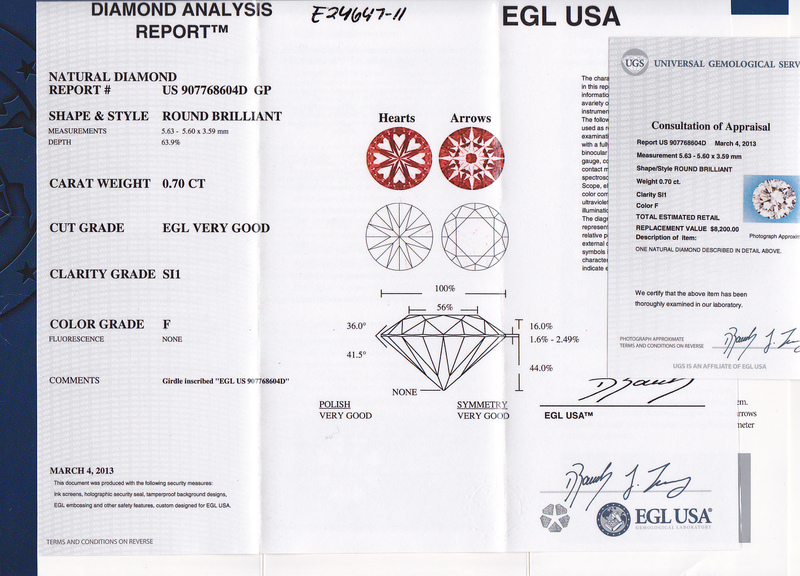 Our All That Glitters price was very well worth this really fine EGL (USA) Certed 3.03ct, G color, VS1 Diamond! All That Glitters Diamond Customers See the Savings! We sell/broker diamonds at a very low price, providing customers with big savings on what they seek in Diamonds. By offering Certified Diamonds from a qualified source/lab (GIA or EGL US), you obtain an independent report from a business that has no interest in a sale. We would expect a Diamond purchased through All That Glitters would sell for about	50% more in stores (possibly more, but we do not know the full mark up within stores and that can vary widely).